Welcome to pmfai.org, the home of Pest Management New and Education. We are a media and publishing website that promotes and educates the pest industry. From local pest control companies to the entire pesticides industry around the world. Promoting innovation & environmentally sound uses of chemicals and products to ensure effectiveness and safety. The objective is to promote understanding of the Pesticide Industry and publish news and relevant publication and research materials. Achieve an effective representation of the industry and its cooperation with other related Associations. To liase and publish local Government objectives and regulations. To promote new Pest and Crop Management systems. Circulate various important publications circulars to the community. Pesticide usage is an effective way to control or suppress troublesome pest infestation in your garden. A Pesticide can either be a natural, organic or synthetic material designed to be toxic to the targeted pests, such as insects, weeds or unwanted garden invaders. It is a broad term that may include insecticides, fungicides, herbicides, rodenticides, molluscicides, and miticides. Responsible and safe pesticide usage in your garden is essential regardless of whether you are using a natural or chemical combatant. More is not better as far as pesticide application goes. Excessive application of pesticide is not only an environmental risk, but it can also damage whatever you are treating—such as your lawn or plants. Learning about safe pesticide usage is key to alleviating a myriad of safety concerns that come with it. 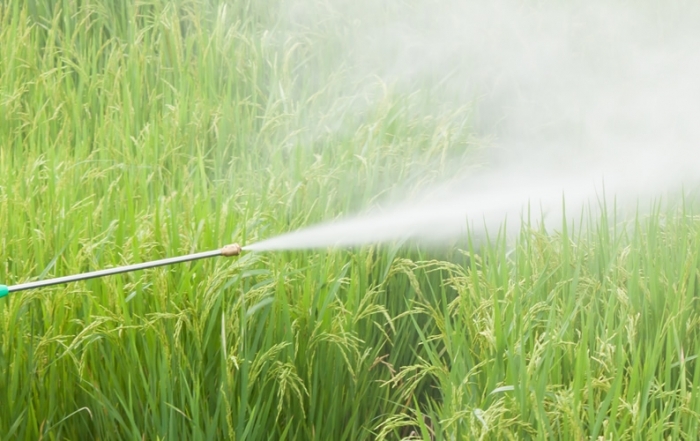 Pesticides call for respectful and smart handling along with a keen understanding of the manufacturer’s instructions concerning mixing, timing and application rates. Proper use of pesticides can protect your plants from damage while maintaining the environmental integrity. On the contrary, inappropriate usage of pesticides and failing to adhere to the label instructions can be disastrous to your plants and environment at large. It can impair the health of your plants and contribute to soil, water, and air pollution. The following are tips for safe pesticide usage. For more information on the same you can visit here. Whereas all pesticides are considered harmful, some are more poisonous than others. The relative toxicity of pesticides implies to how dangerous they are to warm-blooded animals. It is expressed as LD50, which is an abbreviation for lethal dose 50%. This measure determines pesticides that can kill half of a test animal population. LD50 is based on mg of active ingredients per kg of total body weight. DANGER is a label that applies to pesticides with an LD50 value of less than 50. They are highly toxic, and you need special certification to be permitted to buy and use them. WARNING is a label indicating pesticides with moderate toxicity. Their LD50 may range anywhere between 50 and 500. CAUTION applies to pesticide products with either low or very low toxicity to humans. These products can have an LD50 of 500 and above. Most pesticides available to homeowners typically come with this signal word on their labels. Despite the signal word you can see on a product label, keep in your mind that all pesticides have the potential to poison. For that reason, make sure to go through all the instructions and directions of use and follow them to the letter. Accurately measuring concentrated formulations of pesticide products is vital for efficient and safe usage. The product label shows the application rate for pesticides, which can be in ounces per gallon of water. Follow these procedures and make sure to dilute and apply materials according to the directions provided. You are advised to wear the right equipment when mixing and applying pesticides in your garden. These include a coverall garment, unlined boots, hat, long-sleeve shirt, and unlined neoprene or rubber gloves. The pesticide concentrates are highly toxic compared to the diluted spray. So, wearing goggles, rubber apron, and a respirator is highly advisable. Visit Northeast Greenhouse Conference for additional information. Do not eat or smoke when mixing pesticides. The odds are you will carry pesticide traces to your mouth if you eat while mixing pesticides. Additionally, some pesticide products are known to be flammable. Smoking while applying pesticides can be dangerous. Develop a habit of mixing or diluting pesticides outdoors or in a ventilated area. Do not use cups or spoons to measure the pesticides for mixing. Always utilize the equipment listed on the product label, and carefully measure the pesticide for accuracy. Mix pesticide according to the requirements for each application. Never prepare larger amounts for storage and possible future use. Stored pesticides can degrade hence become ineffective over time. 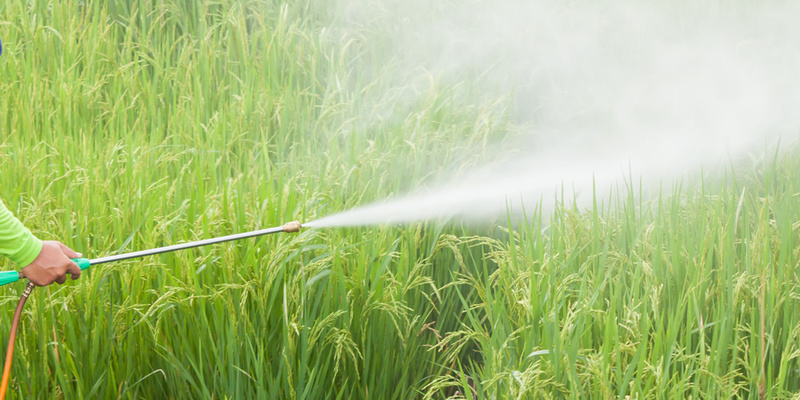 Visit this website to see how to calculate the correct amount of pesticide for use. Only apply pesticides in your garden on a calm day, especially in the morning when the wind is flowing mildly and unnoticeable. All applications should be done at temperatures between 60 and 85 degrees and must be maintained as close to the ground as possible. Change your clothes right away if you become contaminated and take a shower. Follow the instructions on the label warily and strive to achieve a judicious use. Using these chemicals at unnecessarily high rates is a waste of money, energy and time. Besides, extra products are likely to cause storage and disposal issues. Excessive application of pesticides is not only detrimental to your garden but also poses environmental harm. Extra pesticides are likely to leach into wells or groundwater leave alone running off into surface water. Over-application also leads to the buildup of resistance in the target pests and damage of beneficial organisms and desirable plants in your garden. Applying pests beyond directions provided on the label is an illegal misuse of the product. Are you an environmentally conscious individual? Always doing what you can to help save our planet, changing out your household appliances for those which are energy efficient. Trading in those iridescent bulbs for LED ones and doing your part to conserve water, like taking less time in the shower or washing small loads of laundry at a time. Choosing organic materials and sealing up your windows in order to use a minimal amount of heat in the winter. Nevertheless, this environmentally conscious state of mind is a superior way of thinking, even when utilized on things like the removal of those pesky critters. Many home owners don’t realise they can control household pests with ingrediants gathered from around the home. Some exterminators even provide DIY advice prior to coming out to spray pesticides. Mr Nicholas Favreau from Pro Pest Control Brisbane suggests researching the type of pest you are having a problem with prior to calling a pest control company. Control ants by using lemon juice, peppermint and cinnamon he said. It can be quite effective for some customers, he added. Although pesticides are very effecient at killing pests, they can have some harmful effects. We think it is worth while outlining some of the possible problems they can cause if not managed correctly. We’d like to emphasis the managing correctly part, if pesticides are used in a safe environment using all safety precautions, they are very effective. That being said, let’s explore some of the possible disadvantages. These are just a few of the potential hazards from using pesticides around the house. It might be a convenient way to rid oneself of pests, however, as you can see, it can have deadly consequences in the end. For information, visit the NRCD website. There are numerous natural ways of ridding yourself of unwanted critters from inhabiting your home. Here’s a list of common home remedies for controlling pests. Garlic Cloves – Throughout the years people have been using garlic as a means of tackling their roach problems. By simply laying down cloves of garlic, you’ll have them looking for somewhere else to call home. Basil Leaves – For those suffering from an infestation of flies and/or mosquitos, take some basil leaves and place them around locations where they’re predominantly located. Such as, near windows and doors, you should see a huge reduction within a couple of days. Common Cornmeal – Do you have an ant problem? No worries! Cornmeal is a natural enemy of these pesky bugs. Sprinkle in areas where they’ve been seen, the ants carry it back to their nest, killing off the entire colony. This is merely a few of the safe ways to help your unwanted visitors vacate the premises, if you’d like to see more, visit Mother Nature Network. With some in-depth research and perseverance, you’ll have the ability to locate and identify your particular pest. For those of you who live in around the city, there’s certain critters you won’t need to be concerned about. On the other hand, it’d probably be wise of you to get a full understanding about rats and what kinds of habits they have. Taking care of them before hand, will help save you the hassle of property damage, as well as, any potential health risks to you and your family. In order to rid yourself of pests, first figure out their reasoning behind coming into your home. For instance, has there been a recent increase of rainfall in the area? If that’s the case, ants tend to prefer nice dry areas to forage for a source of food. However, by controlling the humidity levels in your home, you can nip this problem in the bud before it becomes a bigger issue. Mice also search for a nice warm places to hide. To avoid this, remember to plug up cracks in your floorboards, resealing window caulking, and ensuring that doors and windows are securely fastened. Once you’ve determined the source of infestation, your initial reaction is to immediately contact the nearest pest control company. However, it’s wise to collect some vital information before doing that. Your main goal should be removing the pesky critters with as little effort as possible and protecting the area from any future infestations. Insects along with other types of pests can be quite a nuisance! Doing research on a particular species can help find quick ways of controlling them. A recent scientific study has found that a majority of the world’s bees have been contaminated with neonicotinoid pesticides. Approximately 75% of the honey samples in the study tested positive for at least one of these chemicals, igniting a debate around the use of neonicotinoids. Neonicotinoids are an insecticide derived from nicotine and are widely used around the world. They were originally thought to have less of an impact on the environment, but have recently come under scrutiny due to their effect on bees. Various studies found that the chemical disrupts honeybee behaviors. Exposure can result in a decrease in hive cleansing behavior (bees remove their sick and dead to prevent disease from spreading) and can cause a decline in reproductive success. Bees exposed to neonicotinoid were more likely to lose their queen and less likely to select a new one, leading to the previously mentioned reproductive failures. PBS has documented a number of studies that can give more exact information on pesticide effects. You can find that article here. The pesticide is different from other bug killing chemicals in that it has the ability to slowly kill off hives. The pesticide does not immediately kill off bees, but instead slowly disrupts hive behavior to cause a slow die off. In addition, only small amounts of the chemical are needed to be present to cause negative effects in bees. Neonicotinoid can dissolve in water, allowing it to easily spread through agricultural runoff that is then absorbed by flowers. It should also be noted that the pesticide levels in honey were not high enough to cause health issues for humans, and were below the maximum authorized level. However, the effect on bees is a cause of much concern. Bees are not only an essential part of human society, but also the world ecology. They are responsible for a large fraction of pollination across the world, which is why so much work has gone into bee conservation efforts. Without bees, pollination of crops becomes far more expensive, raising the price of food. Bee die offs have already caused cost increases for farmers. Die offs can also affect beef and dairy industries by raising the pollination costs of crops used to feed cattle. These factors all lead to price increases on consumers at the grocery store.Some countries have already begun to take action to address the concern around neonicotinoids. France passed a law in 2016 that will eventually ban neonicotinoids by 2018, and other countries are currently undergoing examinations of pesticide impacts on honeybees. Should honey bees go extinct, the fallout on the world economy and ecology would be massive. This latest study has brought much needed awareness to a potentially catastrophic issue, and experts are all asking the question: what now? If you would like to contribute please leave your comment below.